In response to questions about the accuracy and usefulness of a paper done by Adam Spittler, Mike Ciklin and G. Stevenson Smith titled “A White Paper Analysis of the Treasury Takeover of Fannie Mae,” I prepared the following analysis. “A White Paper Analysis of the Treasury Takeover of Fannie Mae” by Spittler, Ciklin and Smith (SCS) says in its introduction that it uses “an analysis of the financial situation facing Fannie Mae during this period…to determine if it was really necessary for the Treasury to take over Fannie Mae.” The errors and misstatements in the paper, however, are serious enough that I do not recommend it be given wide circulation. In their attempt to assess whether Fannie Mae needed Treasury assistance, SCS focus on the company’s cash flow statements. That’s the wrong place to look. The right places are Fannie’s income and capital statements (with the latter containing entries related to “accumulated other comprehensive income”). Statements of cash flows merely show how a company’s sources and uses of cash balance, as they always do. The points SCS make about cash flow statements—such as “without an adequate cash flow a company cannot meet its financial obligations as they come due”—are accurate for non-financial companies, but less true for financial institutions, whose business is based on borrowing. Unlike a non-financial company, a spike in borrowings for a financial company typically does not indicate distress; it more likely reflects a surge in loan purchases or a large volume of debt redemptions. SCS begin to go seriously astray on page 6, when they explain the eye-catching cash flow chart on page 7 by noting, “the ending balances from the Statement of Cash Flow for the years 2007 through 2014…have been adjusted to take out the effect of cash injections from Treasury and cash withdrawals through dividend payments to Treasury.” Removing the payments to Treasury, however, eliminates the anomaly SCS are trying to explain. Of what relevance is the cash flow statement in that case? SCS next make an unconnected, and incorrect, observation about two items in the cash flow statement for 2009: Purchases of Loans Held for Sale ($109,864 million), and Purchases of Available for Sale Securities ($165,103 million). They say, “Without these outflows, Fannie Mae would not have had a deficit in its 2009 cash position.” That’s incorrect for two reasons. First, Fannie didn’t have a deficit in its cash position; the alleged deficit was created by SCS by removing the borrowings from Treasury from Fannie’s cash flow statement. Second, the combined $275 billion in purchases were funded either by borrowings or asset sales, which do show up in the cash flow statement. All of the conclusions SCS make from the middle of page 6 to the rest of the section are made invalid by these mistakes. This report of “$40 billion per month in toxic mortgage purchases ordered by Treasury” has been given wide circulation, but it’s mythical. Fannie Mae puts out considerable information about the volume and composition of its mortgage purchases in its monthly summaries, 10Qs, 10Ks and credit supplements. Focusing on credit quality, the profile of Fannie’s 2009 mortgage acquisitions (both portfolio purchases and MBS guarantees) is dramatically better than in 2007 or 2008. Taking just two (of many possible) examples: only 10 percent of Fannie’s 2009 loan acquisitions had LTVs over 80 percent, compared with 25 percent in 2007 and 22 percent in 2008, while in 2009 74 percent of Fannie Mae’s new business had credit scores at or above 740, compared with 40 percent in 2007 and 55 percent in 2008. Then there’s the fact that after five and a half years of performance results on Fannie’s 2009 book of business, its cumulative default rate is similar to the high-quality 2002 and 2003 books, and a fraction of the default rates of the 2007 and 2008 books. There is absolutely no evidence that Fannie Mae purchased toxic loans post-conservatorship, yet continued references to this myth, including by SCS, perpetuate it, which is not helpful. There in fact is a simple and straightforward way to make the point that had Fannie Mae remained privately managed it may not have required any financial assistance from Treasury or the Federal Reserve to get through the crisis. It is this: the operating revenues from the company’s business—its net interest income, guaranty fees and fee and other income—exceeded its operating expenses (actual credit-related losses plus administrative expenses) during the 2008-2011 period. More than all of the book losses Fannie recorded during this time, which wiped out the company’s capital and forced it to draw $116 billion in senior preferred stock from Treasury, were the result of non-cash accounting entries, the large majority discretionary, made after FHFA took control of Fannie in conservatorship. I give details of these accounting entries in Section IV of the amicus curiae brief filed with the Court of Appeals for the DC Circuit in the Perry Capital case on July 6, 2015. That’s really the whole story. And note it’s not accurate to say (as SCS do) that Fannie’s cash results were positive, and that non-cash entries produced all the losses. Only about two-thirds of Fannie’s recorded guaranty fees are payments made in cash during the current period; the rest come from the amortization of risk-related fees paid up front in prior periods. And while the overwhelming majority of Fannie’s recorded net interest income comes from cash received in interest payments on mortgages less cash paid in interest on debt, some portions come from the (non-cash) amortization of premiums and discounts on purchased mortgages and from the amortization of the cost of derivatives used to hedge interest rate risk. Finally, we can’t definitively say that without the non-cash accounting entries made by FHFA Fannie would have survived the crisis. As I noted in the Perry amicus, had Fannie been managed privately it “certainly would have posted some increase in its loss reserves, had some fair value losses, and booked some impairments on the private-label securities it owned.” At June 30, 2008, prior to the conservatorship, Fannie had $47 billion in capital, and its operating results would have added more through the end of 2011. It would have taken over $75 billion (pre-tax) in combined loss reserve increases, fair value losses and security impairments to exhaust all of that capital. 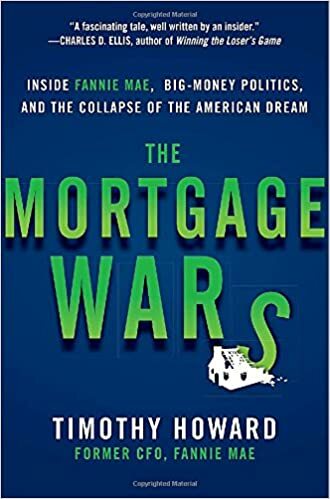 I believe it is highly unlikely that a privately managed Fannie Mae would have had this many book expenses in those three categories, but that is not a fact; it is an (informed) opinion.